Personalize a soft fleece blanket for someone special. 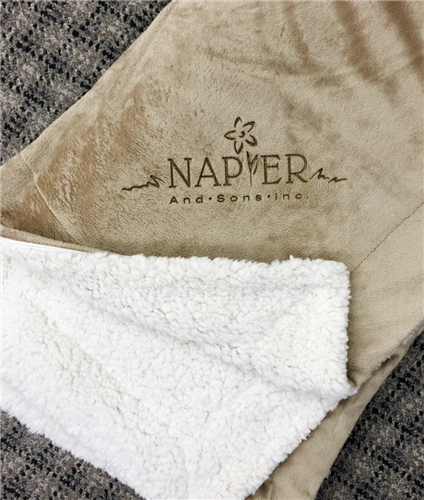 Add your name, team logo, a monogram or business logo to a sherpa fleece or deluxe fleece blanket. The recipient will be in awe with the look and feel. Laser etched into the surface of the blanket and very exquisite with look and feel. A truly nice gift for anyone. Laser Etched Sherpa Fleece Blanket 38oz. - 50" x 60"